Voluntary Action South Lanarkshirewas set up as the Third Sector Interface for the region in early 2011, following the Scottish Governments desire to build stronger partnerships between the Third Sector and local authorities, in order that Single Outcome agreements are delivered in the most effective way. Voluntary Action South Lanarkshire is committed to: maximising volunteering; strengthening communities; enabling performance and growth for the sector; supporting and accelerating social enterprise; promoting social and economic impact and partnerships; enabling positive partnerships; and recognising and evaluating volunteer’s contribution. As part of the East Kilbride Volunteering Collaborative, there is a vacancy for an East Kilbride Volunteering Collaborative Development Officer. 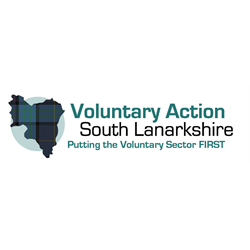 The post will be hosted by Voluntary Action South Lanarkshire. Contribute to the achievements of the East Kilbride Volunteering Collaborative and Voluntary Action South Lanarkshire with particular responsibility for the development of a Volunteering in Health passport. Provide evidence based recommendations and feasibility report of initial passport concept and progress development using a multi-agency/collaborative approach. Identify overlap/duplication within training and induction practices through the application of improvement science methodology, test and develop evidence base for a standardised/centralised approach. Explore and test an asset sharing/volunteer entry point methodology which is both innovative and complementary to the agendas of all parties involved. Facilitate agreement upon data sharing and ownership practices in line with national legislation prior to commencing test of change.